by Joanne Ivancic* (Advanced Biofuels USA) With so much talk about carbon taxes, carbon pricing, carbon cost and highway user fee increases, Advanced Biofuels USA updated its proposal for a “Disappearing” Non-Renewable Carbon User Fee to highlight its environmental justice aspects. First proposed in 2015, the proposal begins: If we’re serious about reducing Climate Change-causing Green House Gases and reducing non-renewable liquid and gas use, we need serious actions. Including the price of GHG effects in the pricing of renewable and non-renewable fuels. Committing serious money to focused renewable fuel research and infrastructure development. The simplest and fastest way to accomplishing this is adding a Non-Renewable Carbon User Fee to the portion of liquid transportation fuels and natural gas made from non-renewable sources. The fee is designed to disappear as renewable fuels replace non-renewable ones. For instance, once renewable content increases to 85% and mileage increases become fleet-wide, the income from the fee will fall dramatically. In fact, legislation should cancel the fee when income drops below $500 million/year. Departing significantly from a number of current legislative proposals, Advanced Biofuels USA proposes that the fees be used to further the replacement of fossil fuels with renewable ones rather than being distributed back to the populace. The intent is that the people who need the more affordable, cleaner, less polluting fuel with a smaller carbon footprint would reap those benefits directly. And that by funding research, development and deployment, the pace of replacing fossil fuel with renewables would accelerate. Thus, the fees should be used in only two ways. Renewable Fuel R&D: An immediate Apollo-type program should be funded with between 50% and 60% of the fees. It should be administered by the National Science Foundation (NSF) and be focused on getting non-food biomass fuels and gases into the pipeline in less than seven years. A sustainable renewable fuel industry will not only cut petroleum imports and tremendously reduce US oil and gas extraction damage, but more important, create good jobs for Americans in research labs, rural towns, and urban manufacturing plants and converted refineries. Renewable Fuel Infrastructure: The upgraded fuel pumps and decentralized processing/distribution modules would be funded with between 40% and 50% of the fees. These programs would be run by the states with funding available via the existing USDA Biofuel Infrastructure Partnership grant program. States know what the needs are and the most effective ways to address them. Priority could be given to low income and high pollution areas, rural and urban. The collection of this user fee would not require new bureaucracies. Existing consumer point-of-sale fuel and utility tax collections systems would be used. Environmental Justice Considerations: Real, Practical, Visible Benefit to People Who Need It Most. A tax on the non-renewable portion of gasoline makes transition to less expensive, more renewable fuel a real option. As the proceeds from the tax expand the infrastructure (pumps, engine design/production) to optimize availability and use of greater portions of ethanol, biodiesel, renewable diesel, renewable natural gas or other components in the fuel, everyone should have more renewable choices. Market forces will enhance demand for more renewable fuels (including more renewable electricity for EVs). In anticipation of the increased fee on non-renewable portions of fuel, fuel retailers could begin offering a wider variety of high proportions of renewable fuels even before the fees go into effect. If low income and poor air quality areas are given priority for upgraded fuel pumps, then cleaner, less-polluting and less expensive options will benefit those most in need of these advantages of renewable fuels. This will also accomplish the goal of getting cleaner fuel at lower prices to people who will be driving liquid-fueled vehicles now and for many years to come. It will improve the emissions from older vehicles until the market provides newer, more efficient, high octane/high ethanol engines options and until electric vehicles powered by renewables become available and affordable. 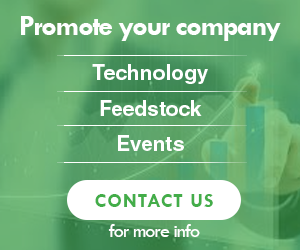 For examples of price comparisons of current regular gasoline (E10) and high ethanol blends (E15, E30, E85), see the website E85Prices (https://e85prices.com/). Today (January 30, 2019), this chart illustrates the current price benefit of high ethanol blends as a US average. A price on the non-renewable portion would enhance the price benefit of ethanol, spur consumers to demand high octane/high ethanol/lower price fuels and flex fuel or high ethanol optimized vehicles. In turn, it will spur auto manufacturers to build and sell the next generation/E30 optimized vehicles with improved mileage and performance. Similarly, fleets will find these same high ethanol benefits, plus they may see benefits from transitioning diesel vehicles to use renewable diesel or biodiesel blends; and will find benefits of transitioning to high renewable natural gas (RNG or rCNG) fuels, as well. Not to mention the benefit that airlines will glean from renewable aviation fuels. Electric vehicles would also experience the benefits as fossil power transitions to renewables. The fees will also fund research and development to assure supplies of sustainable, renewable transportation fuels made from feedstocks ranging from used cooking oil, algae, and municipal waste to agricultural and forest wastes and residues, and from purpose-grown feedstocks, winter or cover crops and treated flue gases. 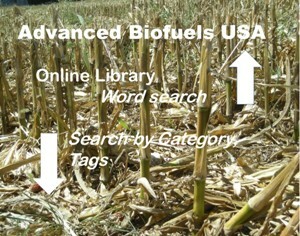 For details, download Carbon User Fee Proposal January 2019 and find more information from word search, categories and tags on the Advanced Biofuels USA website (www.AdvancedBiofuelsUSA.org). 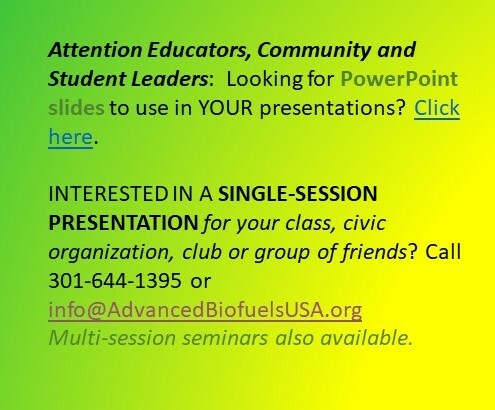 * Joanne Ivancic serves as the executive director for Advanced Biofuels USA. 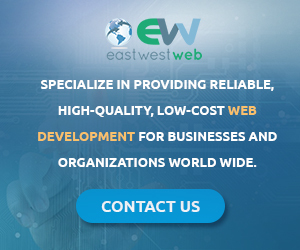 Excerpt from E&E News: A University of California, Davis, report found that an annual $100 registration fee for EV and hybrids set to go into effect next year could slow adoption of the vehicles by as much as 20 percent over the first few years (Energywire, Jan. 7). The study, commissioned by the state, instead recommended a road usage fee applied exclusively to zero-emission vehicles, in which the driver pays according to the number of miles traveled. The approach is one that Plug In America and other EV advocates likewise believe merits attention. Oregon began such a program in 2015, more than a decade after it established a Road User Fee Task Force to study how to fund road maintenance. The OReGO program is limited to 5,000 participants driving light-duty vehicles and established a usage fee of 1.5 cents per mile. The gasoline taxes relied on for much of the nation’s highway funding, too, are designed to be usage-based. The more gasoline used by drivers, the more they pay for the upkeep of roads and bridges.